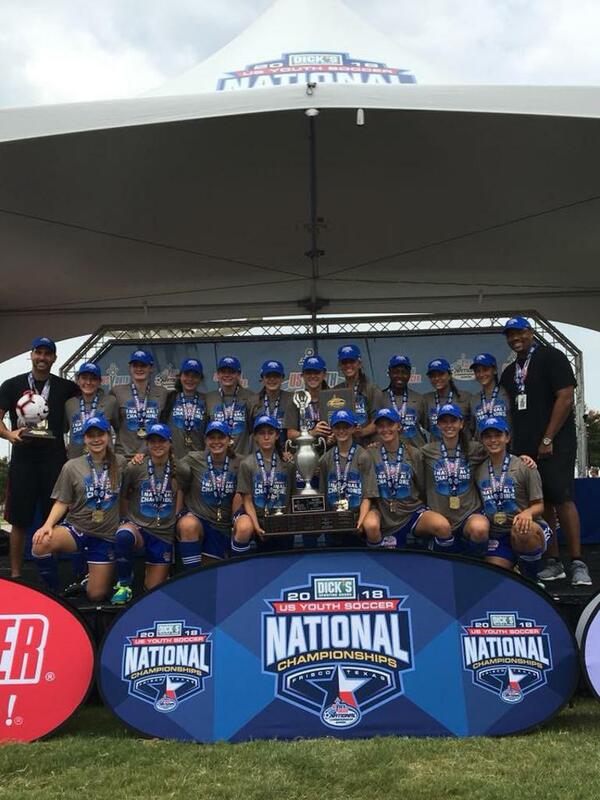 SJEB Rush 02 Girls Academy Blue win the USYSA National Championship Series National Championship! 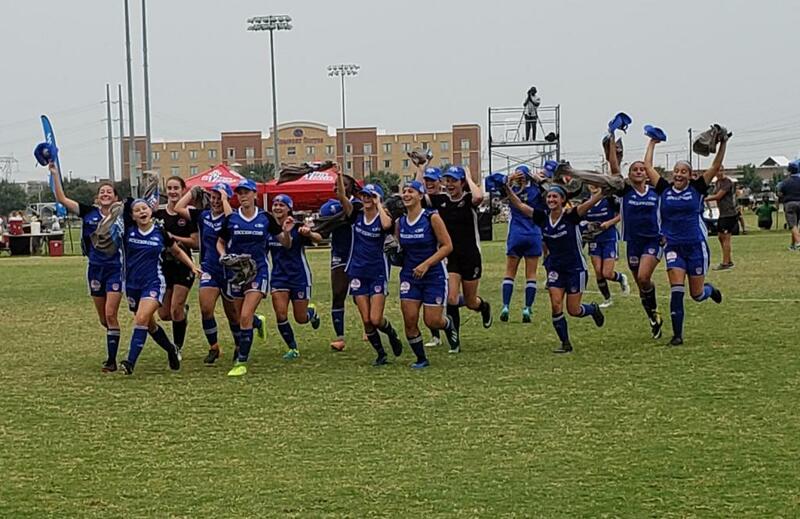 Frisco, Texas – The SJEB Rush 02 Girls Academy Blue clinched the oldest US youth soccer national championship after a successful season which included winning the RED Division in the US National League, winning the USYSA Eastern Regional League Championship, the USYSA New Jersey Championship Series State Cup, and finishing as the finalist in the USYSA Region 1 Championships. 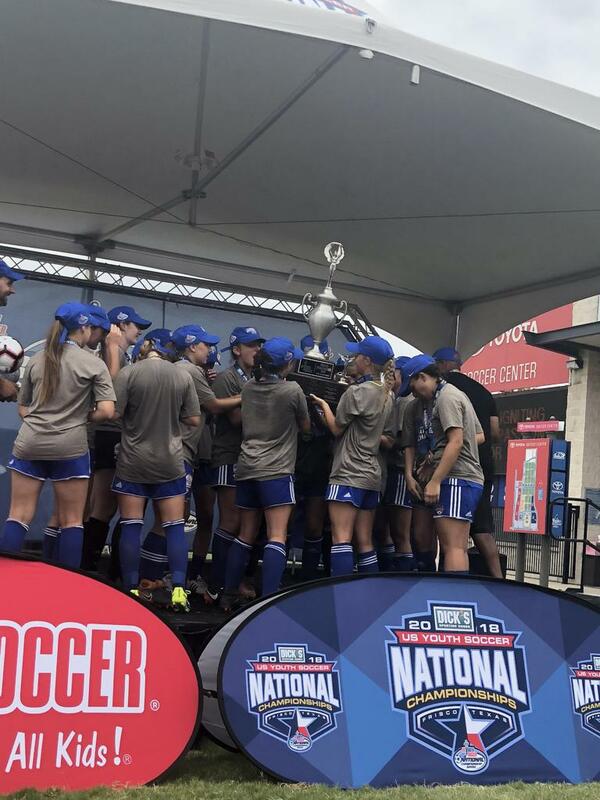 The Championship run started with a 2 – 1 win over Region 4 Champions USA 02 Premier (UT). 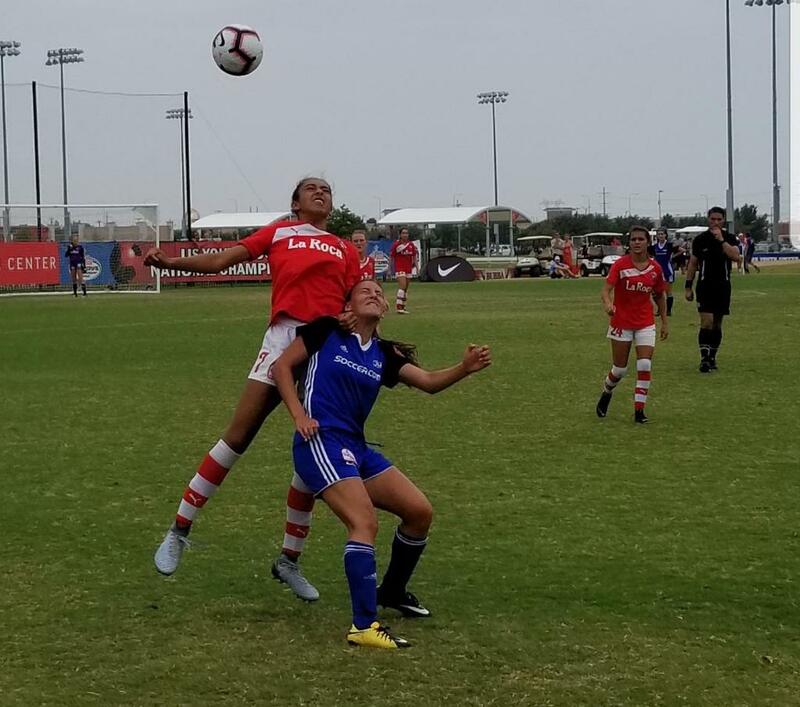 Center back, Brianna Wons started the scoring with a goal off a corner kick from Megan Gaurente in the 14th minute. 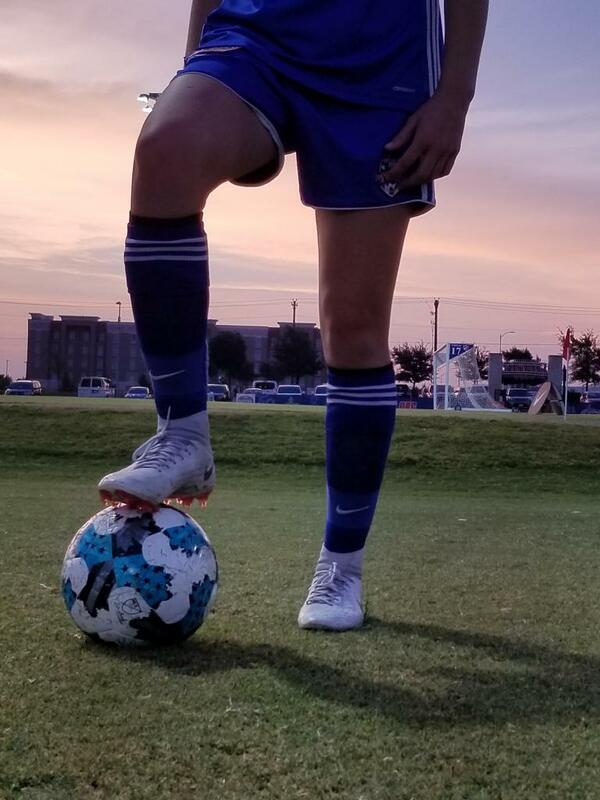 Mackenzie Clement scored the eventual game winner in the 18th minute from an assist by Amanda Attanasi. 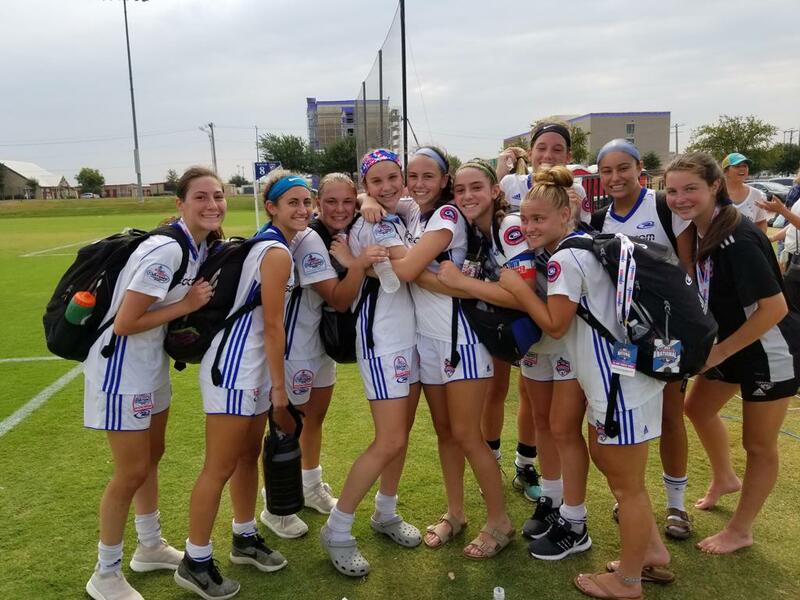 USA 02 Premier scored a goal late in the 1st half and pressured the SJEB Rush goal relentlessly in the 2nd half but the Rush defense anchored by Goalkeeper Alex Clark kept USA out of the net with some clutch saves including a penalty kick save midway through the 2nd half. The 2nd match was a re-match of the Region 1 Championship Final between SJEB Rush and North United Rush (PA-W). 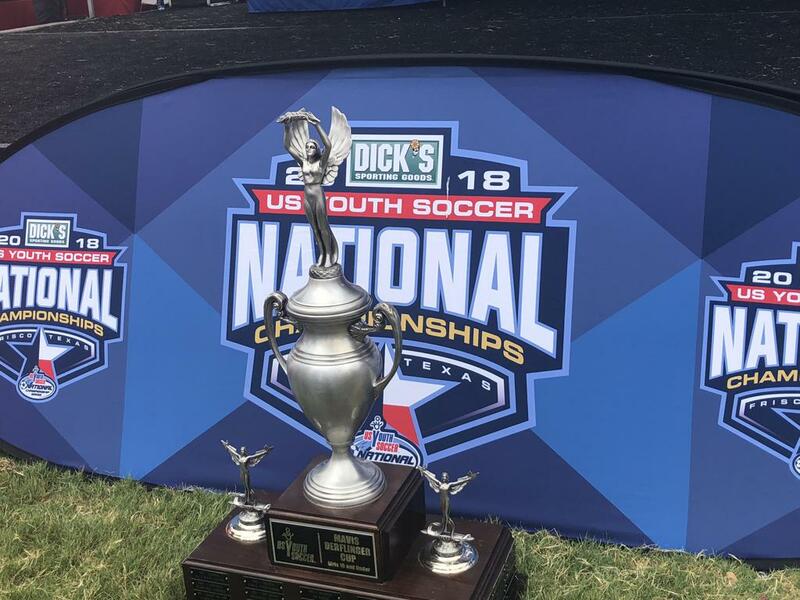 In the previous meeting SJEB Rush built a 2 – 0 lead only later to concede 3 unanswered goals and lose the Region 1 Championship, 3 – 2. 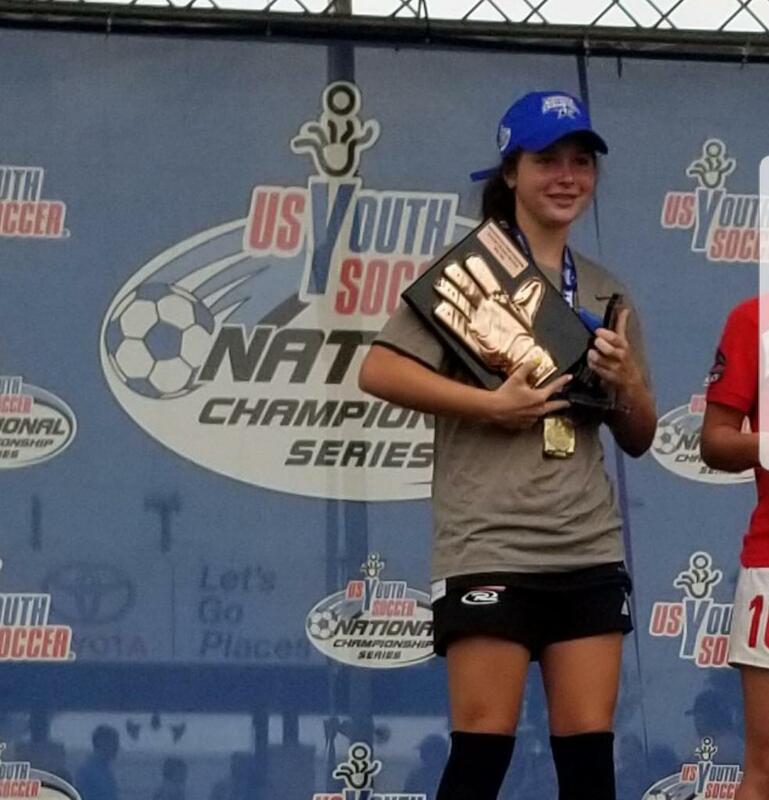 In what turned out to be the toughest of their 3 preliminary matches, SJEB Rush scored in the 66th minute off a free kick from Angelina Schilling that was initially saved by the North United goalkeeper, but she dropped the ball in front of the net and Amanda Attanasi slotted the dropped ball to take the lead. 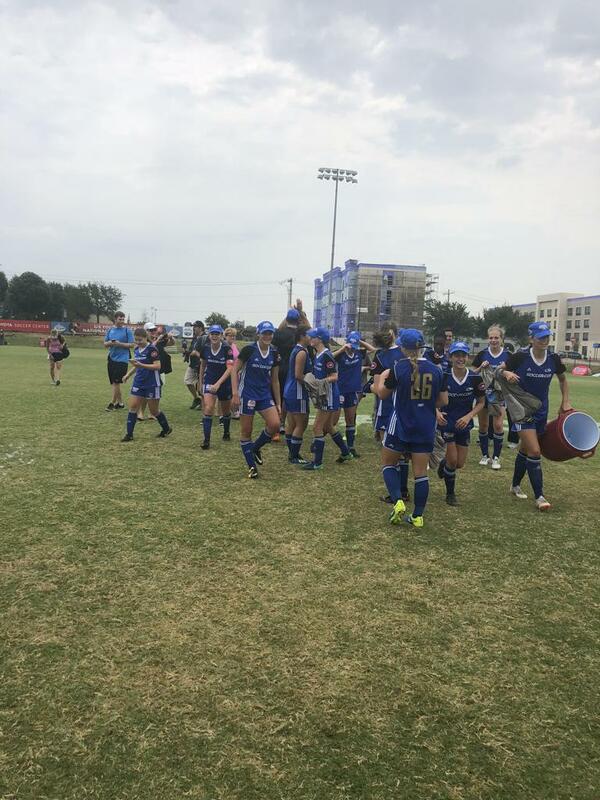 SJEB Rush fought off their long-time rival in the final minutes to seal the 1 - 0 victory. 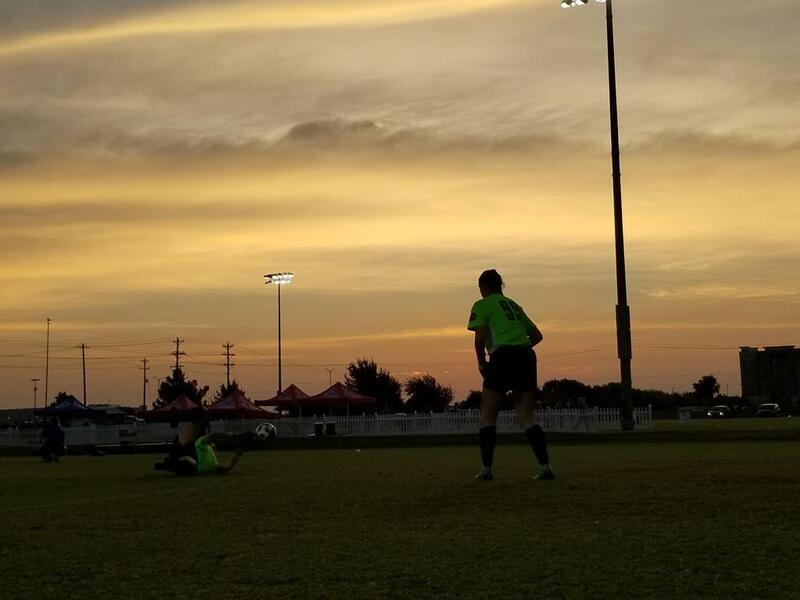 SJEB Rush not only fought off a tough opponent but also endured the Texas heat, it was 105 degrees by the end of the match. 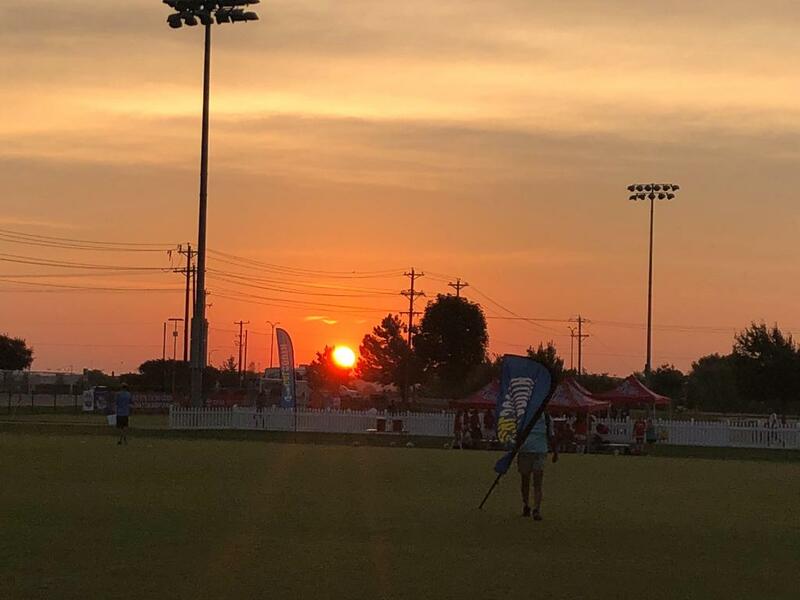 In their third preliminary match SJEB Rush only needed a draw to win their bracket and move on to the National Championship semi-finals. 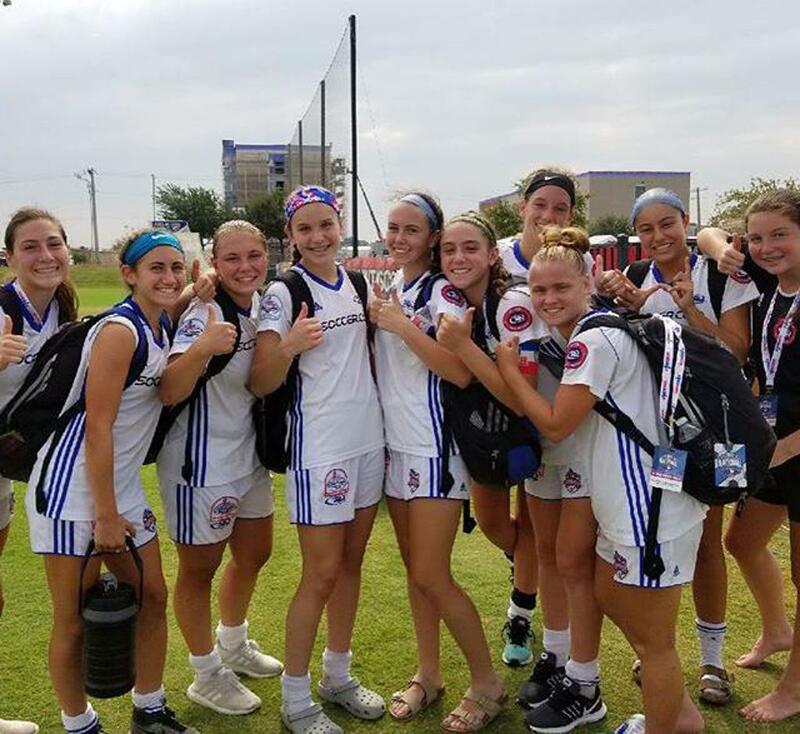 SJEB Rush did exactly that playing Fullerton Rangers 02 White (CA-S) to a 0 - 0 draw and thus winning their bracket, setting up a showdown with Legends FC 02 Academy (CA-S). 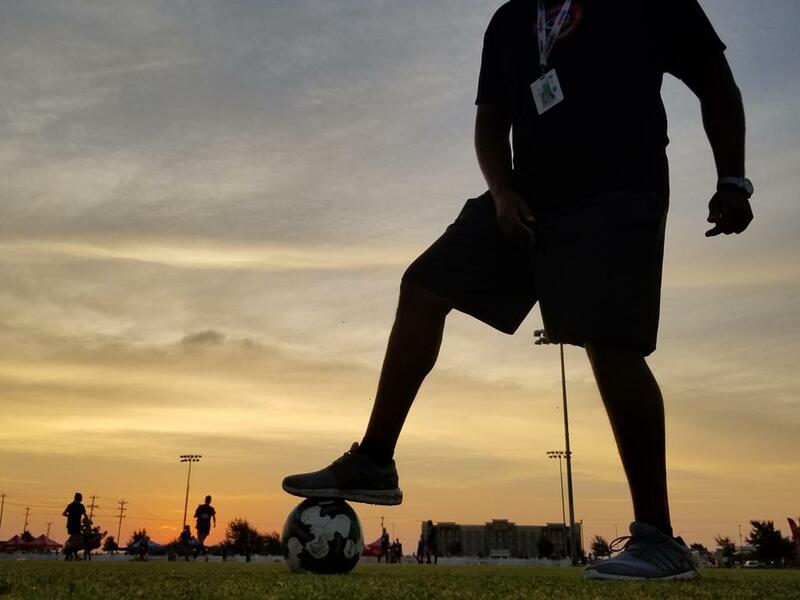 Last year SJEB Rush played Legends FC in the US National League. 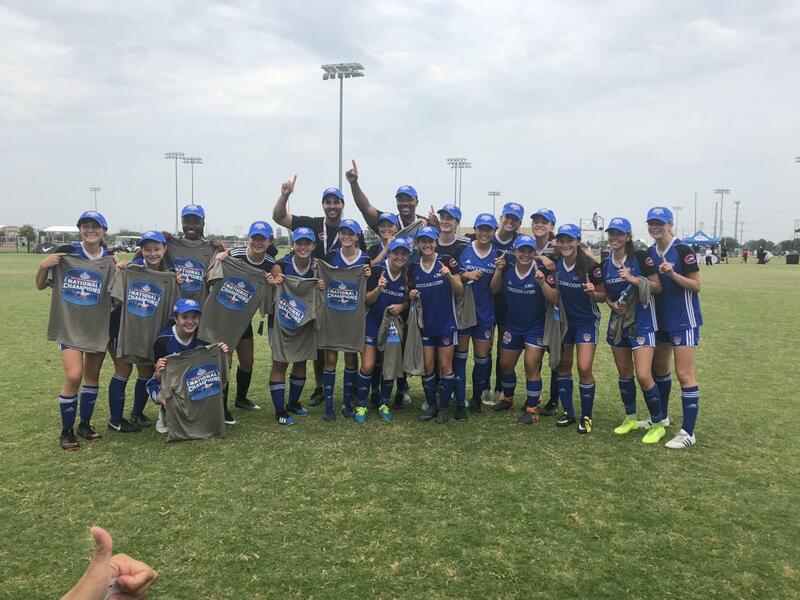 Legends decisively won that match 4 – 0, dominating play throughout the entire match. 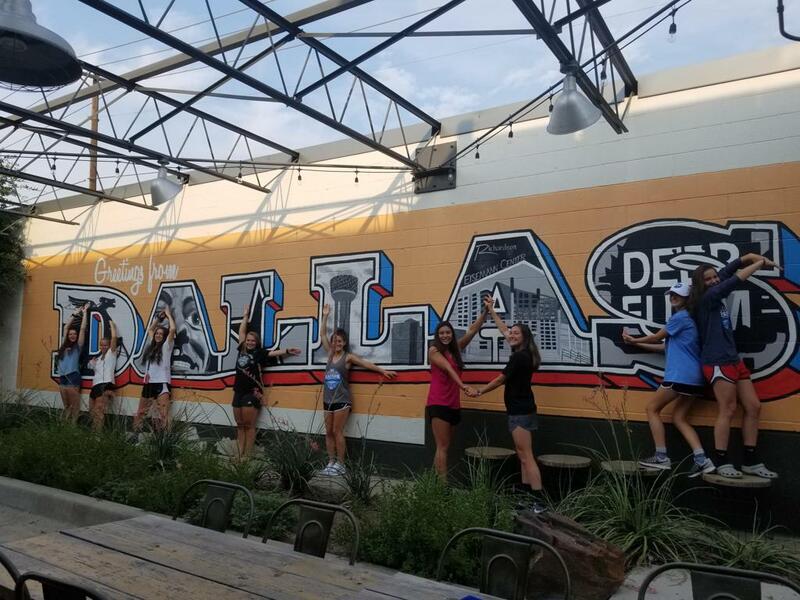 The SJEB Rush girls were determined not to let history repeat itself this year. 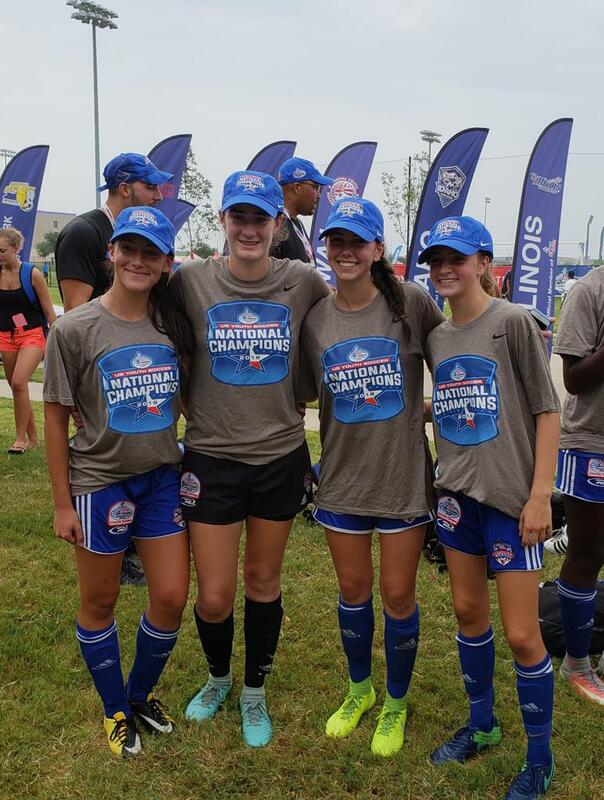 SJEB Rush started the scoring in the 25th minute with a goal from Mackenzie Clement assisted by Alyssa Gargiulo. Some great combination play in the attacking 3rd freed Gargiulo on the right flank deep in Legends FC territory. 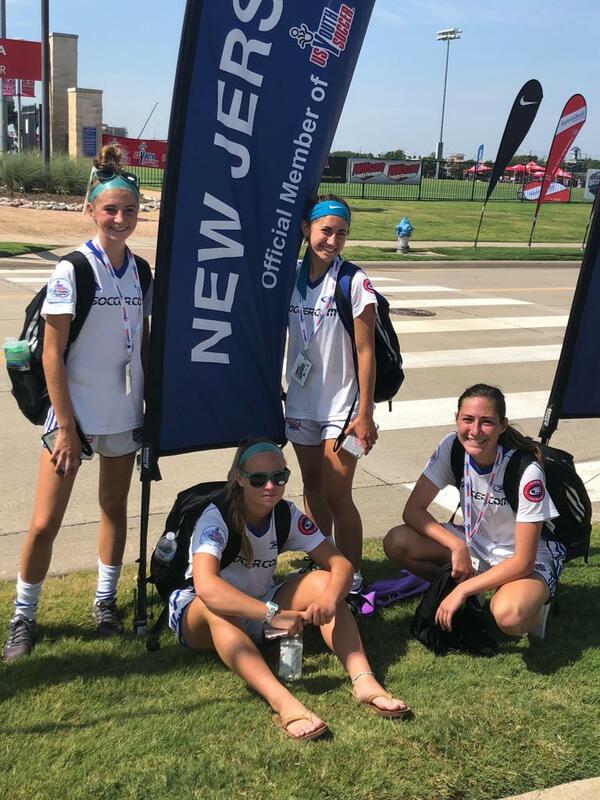 The cross from Gargiulo was meet by the Legends FC keeper but she was unable to make a clean play on the ball and Clement was there to score the goal, her 2nd goal of the tournament. 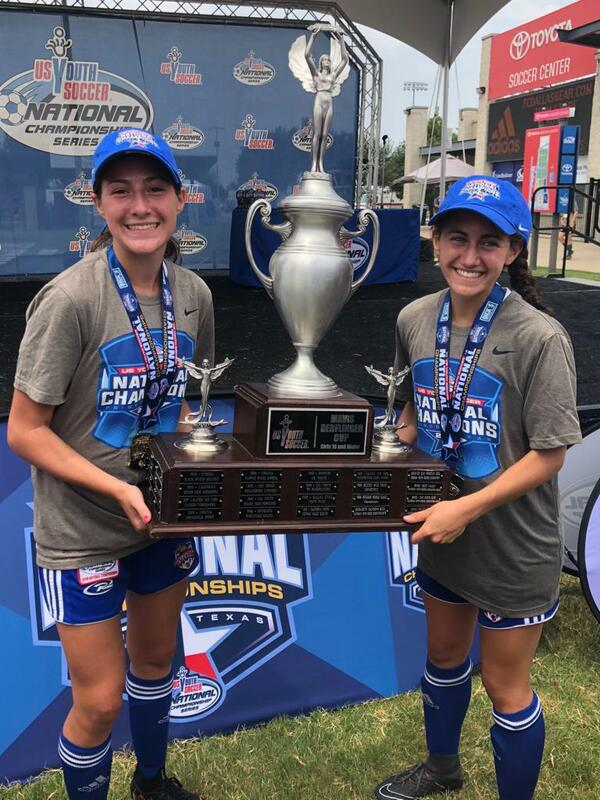 Then in the 27th minute Amanda Anttanasi scored her 2nd goal of the tournament when Giovanna Castorina served her a cross from the right flank. Amanda was closely marked but fought and won the space from her defender to slot the 2nd goal of the match. 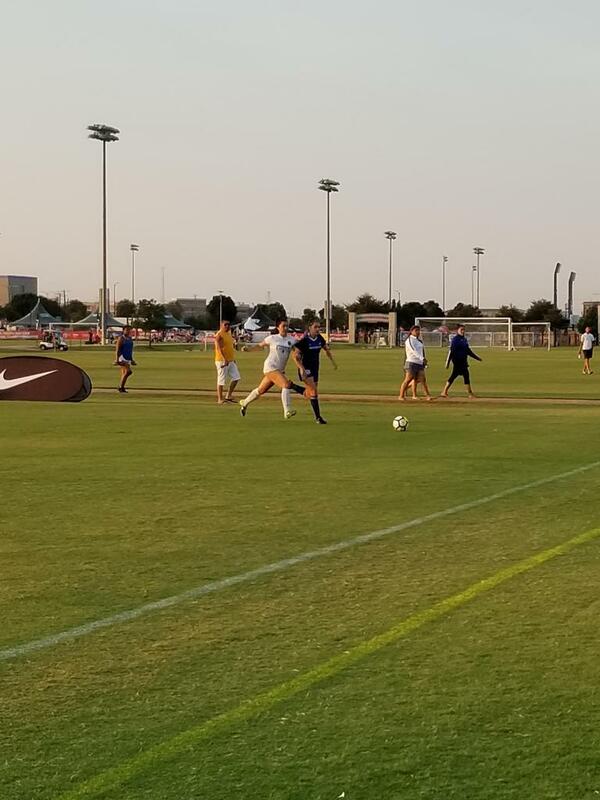 Legends FC would immediately come back scoring a goal in the 28th minute. The score would remain 2 – 1 until late into extra time. 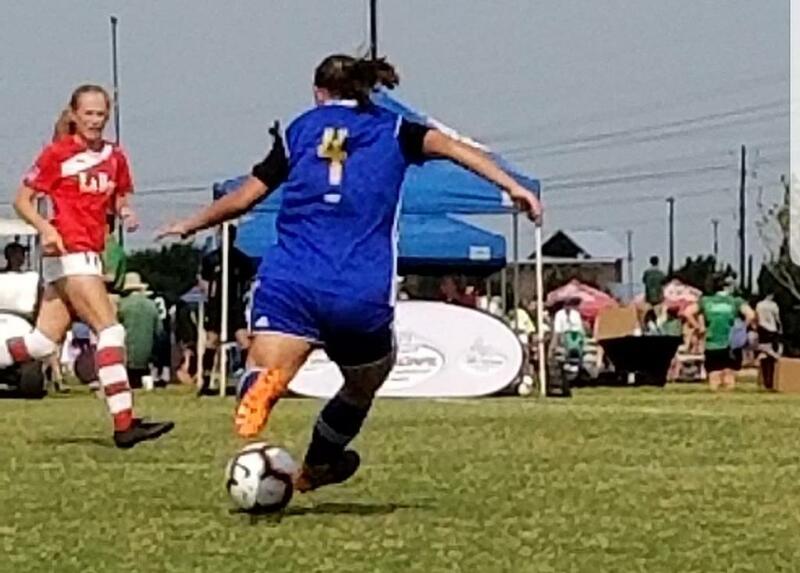 With Legends FC throwing all but 2 players forward, Amanda Attanasi collected a ball just past midfield and took on both of her defenders, she eventually dribbled past both defenders and scored past the Legends FC keeper to seal the 3 – 1 victory and clinch a spot in the National Championship Final. 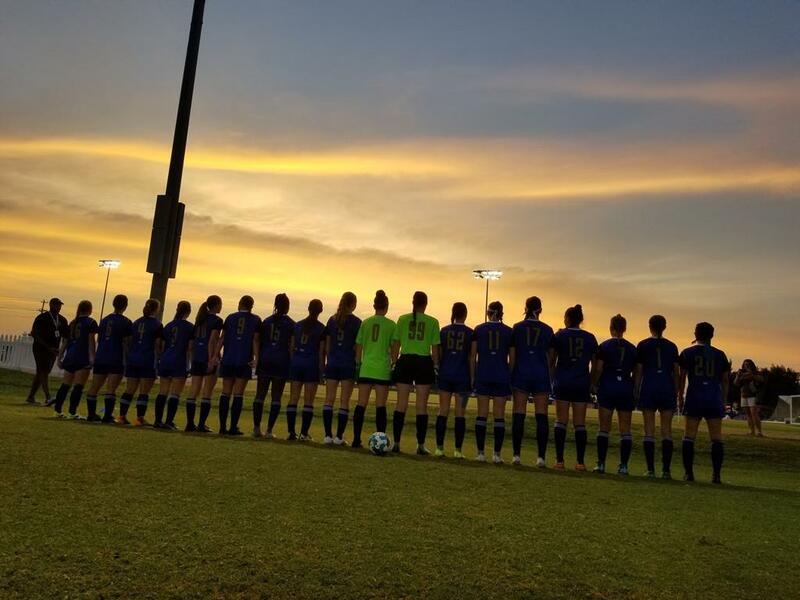 In the final SJEB Rush found themselves playing against a very good and well balanced La Roca FC (UT) team. 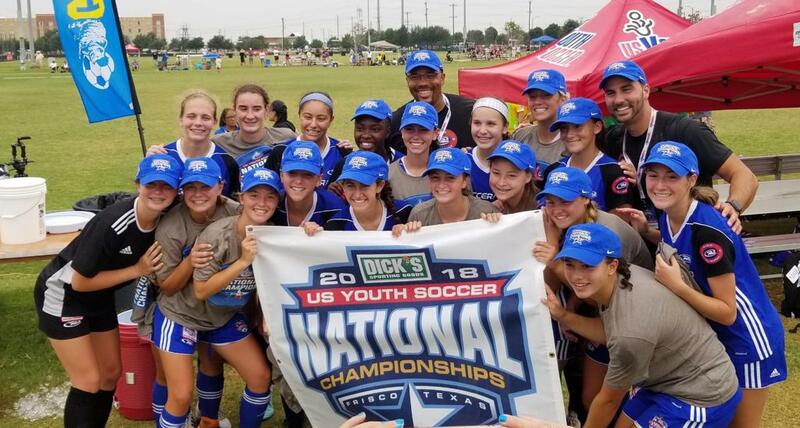 La Roca had competed in the National Championships last year losing in the semi-finals and they were the favorite going into the final this year. 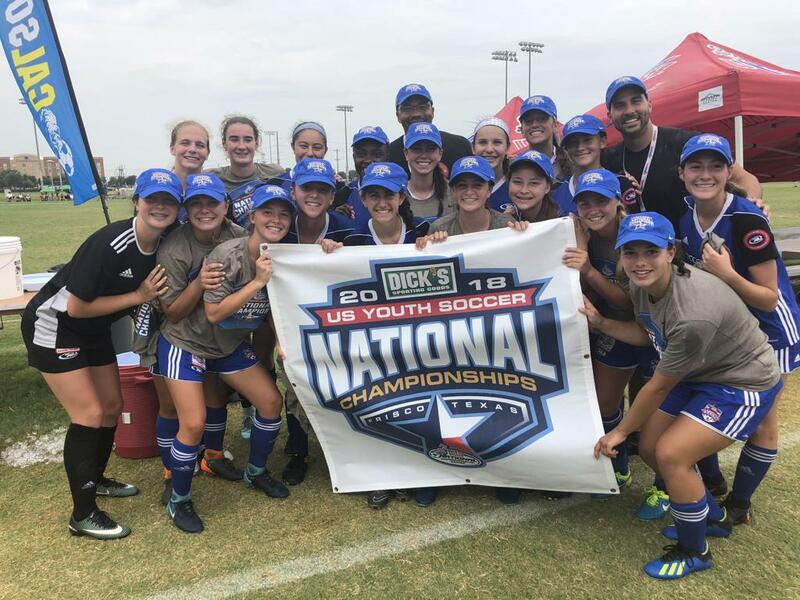 In their 1st four matches at the National Championships, La Roca scored 15 goals and only conceded 2, they won their semi-final match vs. Fullerton Rangers 5 – 0. La Roca started the scoring in the eighth-minute when Caroline Stringfellow netted her fourth goal of the week. 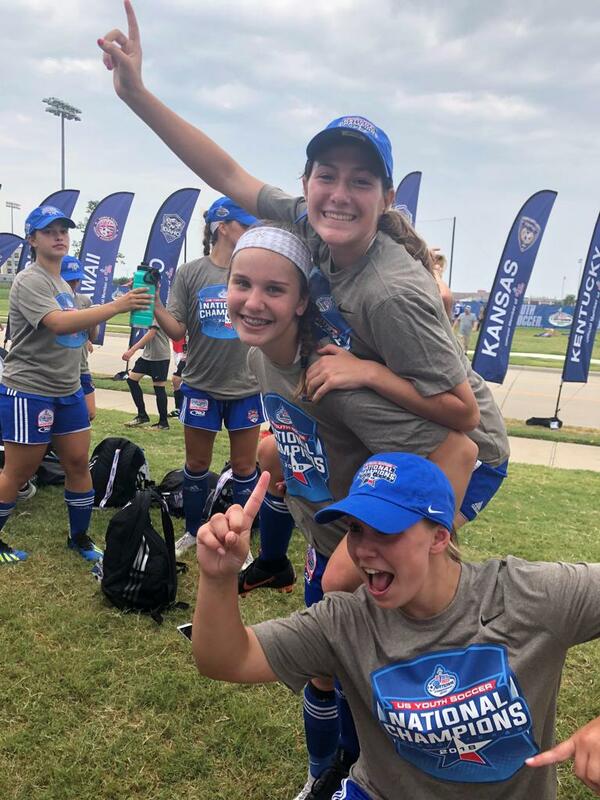 Stringfellow brought down a long ball and fended off both Emma Bitar and Brianna Wons as she made her way into the box. Once there, she slid her shot past the keeper, Rebecca Winslow to give La Roca a 1-0 advantage. 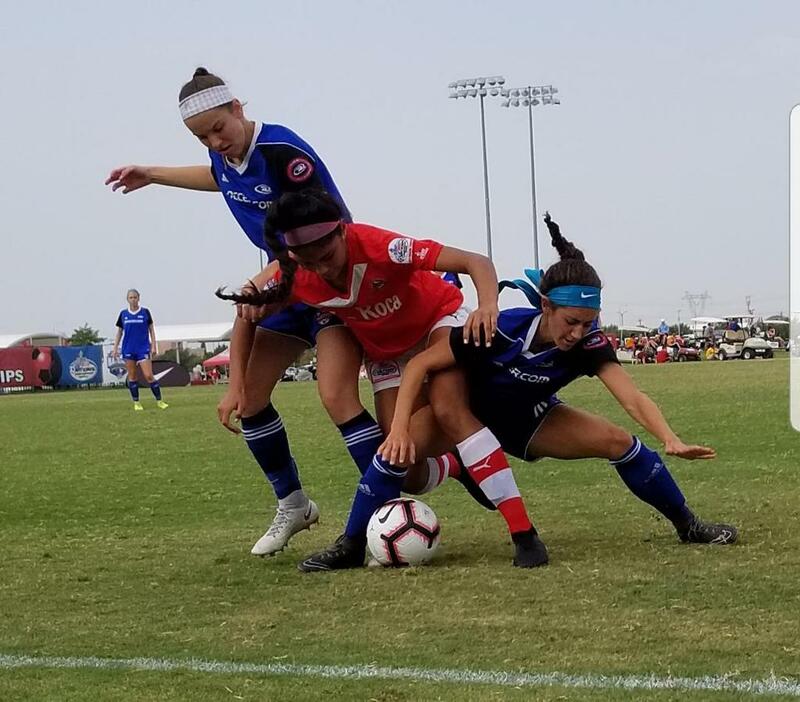 SJEB Rush generated several scoring opportunities late in the first half and through-out the 2nd half but was unable to break the La Roca defense. 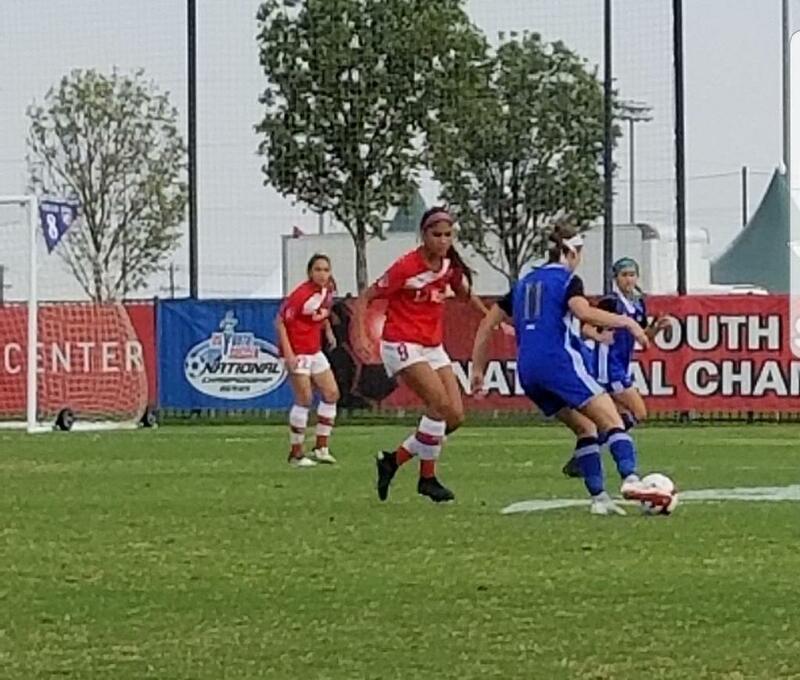 In the 78th minute Rush finally equalized when outside right back Alyssa Monti served in a driven ball from the right flank which carried to the far-side upper-90 and it hit off the inside of the post and found the back of the net. The goal gave the team new life and a belief that they could win the match! 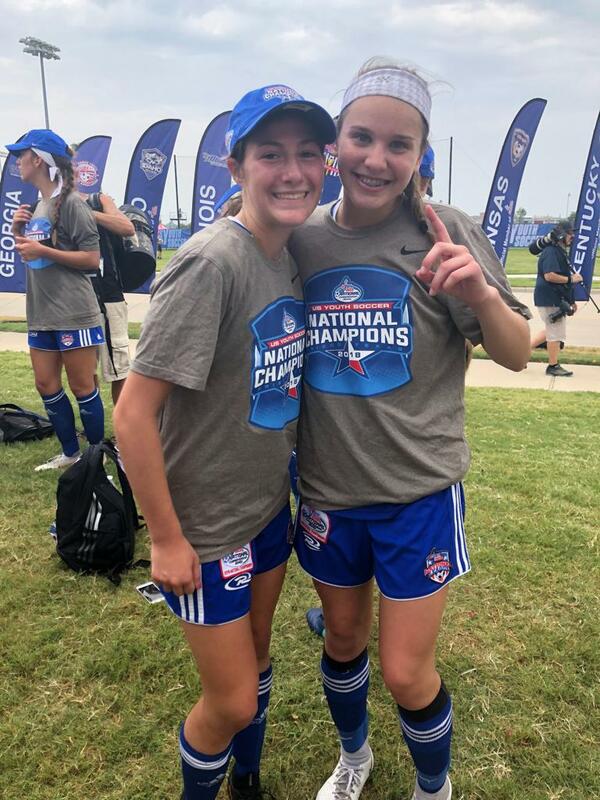 SJEB Rush took the lead in the first overtime, as Erin Sullenberger received a diagonal ball in the box from Mackenzie Clement before placing her left-footed shot off the keeper’s fingertips and into the right corner of the net. La Roca nearly equalized shortly after, but their free kick from distance hit the crossbar and stayed out of the net. 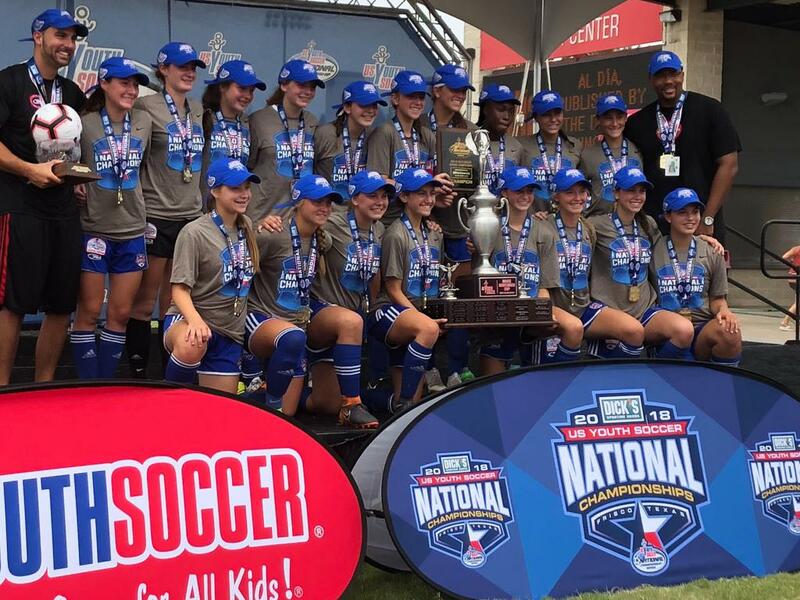 SJEB Rush held off the late surge from La Roca to take the 2-1 victory and win the 16U Girls National Championship. 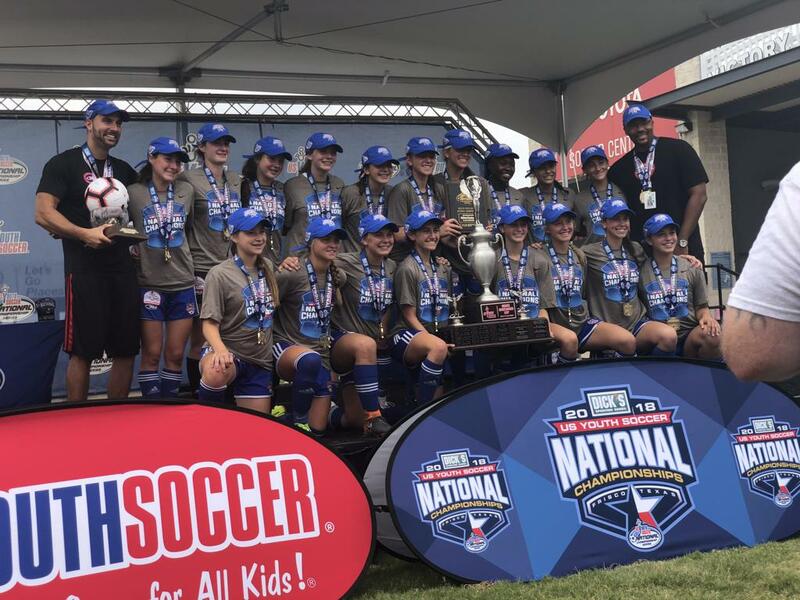 The win marked the 1st USYSA National Championship Series, National Championship for the 02 Girls and the SJEB Rush Soccer Club. 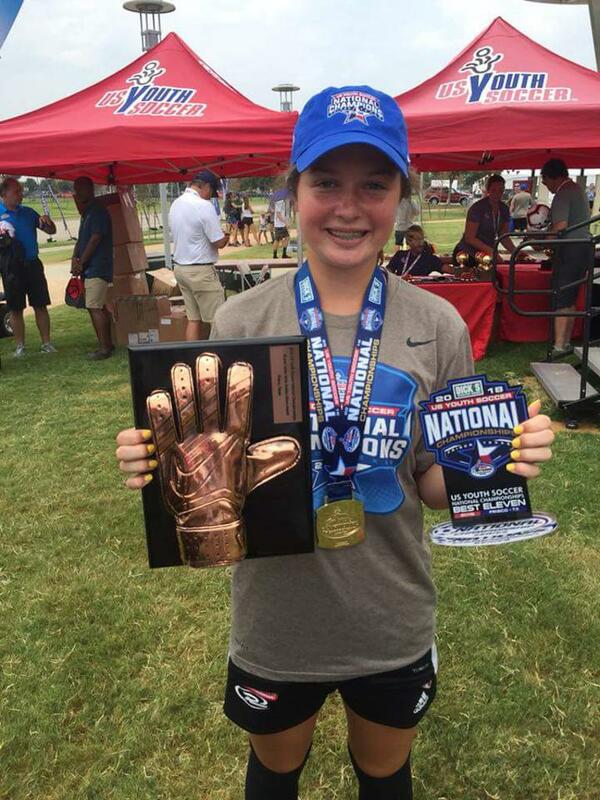 Goalkeeper Alex Clark was named the Best Goalkeeper Award and was selected to the Best XI team from the National Championship Week.